A quick view of the most influential metrics in Lakewood Ranch. 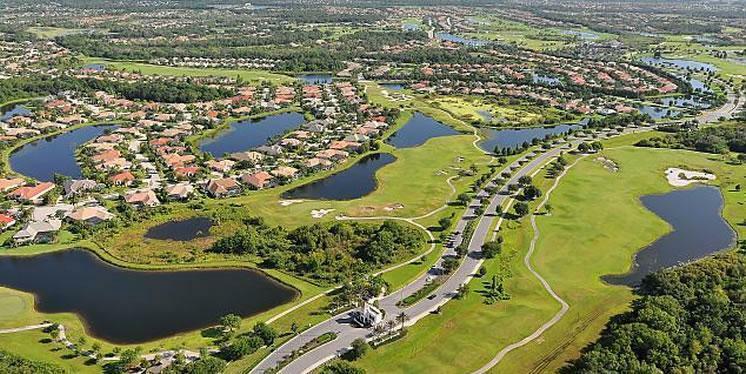 Lakewood Ranch is part of Manatee County, Florida which is located on Florida’s west central coast along Tampa Bay. The area was discovered in 1539 by the great Spanish explorer Hernando DeSoto along with his crew of conquistadors. The area was home to the Tocobagan Indian tribe, until the group faded from existence. The Seminole Tribe claimed the area shortly thereafter. Florida became an American territory in 1821, with the area south of Tampa Bay deemed Manatee County in 1855. The area's name is homage to the manatees that live in Florida waterways. Josiah Gates, along with Hector and Joseph Braden, settled the area in 1842 by purchasing large parcels of land. Manatee County became a major port shipping citrus and livestock on Tampa Bay to Sarasota, New Orleans and Key West. In the early 1900s, John Schroeder of Milwaukee, Wisconsin, an owner of furniture, turpentine, milling and lumber businesses, began acquiring the land in south-central Manatee County that is today Schroeder-Manatee Ranch. In 1922, the Uihlein family, founders of the Joseph Schlitz Brewing Company, acquired the property and continued to expand the agricultural operations that are still active today: cattle ranching, vegetable, citrus, timber, and turf farming as well as shell mining. Today, Schroeder-Manatee Ranch consists of 30,000 acres supporting 2,000 head of beef cattle, 1,300 acres of citrus, 1,800 acres of vegetables, 600 acres of trees, and 1,200 acres of turf. In 1994 residential and commercial development commenced on a portion of Schroeder-Manatee Ranch located just east of I-75, and bridging both Manatee and Sarasota Counties. Award-winning Lakewood Ranch is an 8,500 master-planned community encompassing all aspects of residential and commercial development. Since it’s inception, over 6,000 homes have been built providing homes for more than 14,000 people. Lakewood Ranch has since grown to become the largest green-certified community in America- since 2005, every new village in Lakewood Ranch has been built "green," incorporating building products and techniques that result in a healthier, more energy-efficient, and environmentally responsible home. Seven distinct villages offer a full spectrum of housing and lifestyle options - from single-family, maintenance-free, and luxurious private estates - surrounded by dramatic landscapes and wetland preserves harboring hundreds of species of native wildlife. 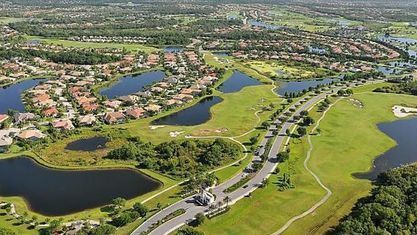 Recreational facilities include the acclaimed Lakewood Ranch Golf and Country Club, 54 holes of championship golf, the Sarasota Cricket Club, Sarasota Polo Club and an extensive collection of community parks, nature areas and lakes. The development also features shopping, dining, excellent schools and health care on-site, and was recently voted "Best Neighborhood" by the readers of Sarasota Magazine. Today, Lakewood Ranch’s history of successful land management and strong financial planning make it not only a sound investment but a great place to live, work and raise a family. It is the legacy of a great American family, a lasting tribute to their success as good stewards of the land. Newest listings in the Lakewood Ranch area. Check out the latest demographic information available for Lakewood Ranch. Get to know Lakewood Ranch better with our featured images and videos. Browse through the top rated businesses in the most popular categories Lakewood Ranch has to offer.